One of the things that summertime means for me is fun drinks on the patio with friends. But with two small kids I am much more interested in entertaining at home. When I was asked to create a blueberry recipe I was not sure what to make. I might be one of the only people in the world that doesn’t like cooked blueberries, only like the raw. And I love them raw! In smoothies, shakes, popsicles, on top of salads with ice cream, whipped cream, you name it, I’ll devour it. 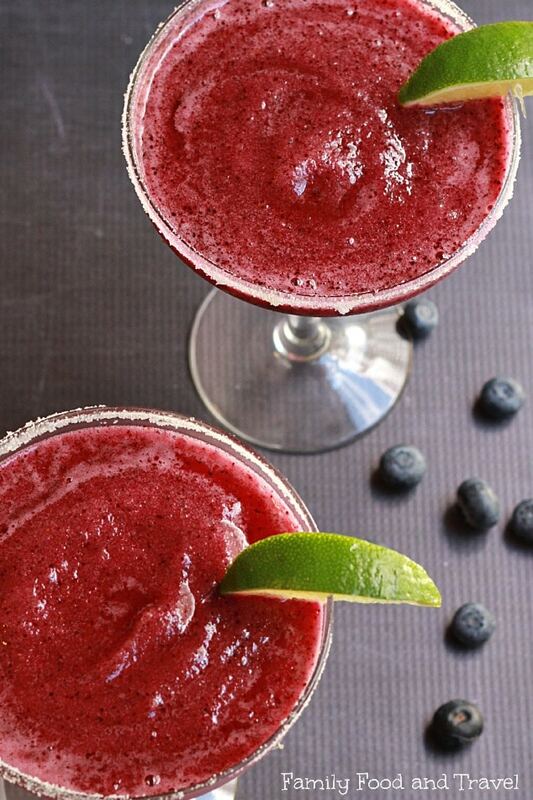 Here’s my way to get the antioxidants of blueberries in a summer cocktail (can also be made as a mocktail). A refreshing, not too sweet cocktail (or mocktail) made with fresh blueberries and passionfruit juice. Perfect for a summer's day. Place all ingredients in your Vitamix in the order listed. 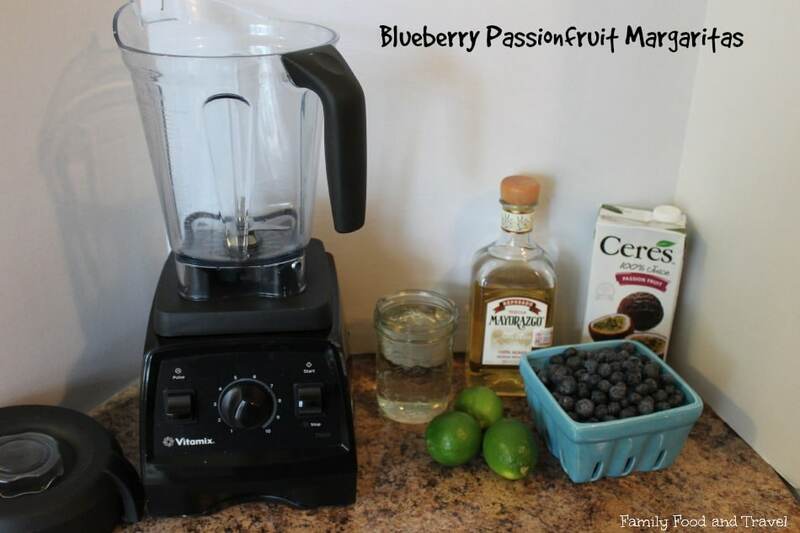 Start at low (1) and increase to high (8) until blueberries are blended and all ice is crushed. Blend for 30 seconds or until completely mixed. Pour into sugar rimmed glasses and garnish with a wedge of lime. The combination of the blueberries with the unique flavour of passionfruit juice bring a perfect amount of sweet and tangy. This will definitely be my drink of the summer. Can’t wait to make it for friends. 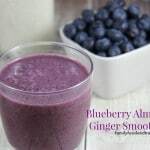 So many wonderful blueberry recipes to make. Try these Blueberry Lemon Cupcakes, Blueberry Cheese Tarts, Blueberry Pie, Blueberry Quinoa Salad with Flax Lemon Vinaigrette, Homemade Blueberry Mint Tea, Homemade Blueberry Tarts, Blueberry Smoothie and Blueberry Ice Cream. 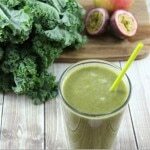 What is your favourite blended drink? Oh, Pina Coladas are to die for in the summer – like a glass full of island life! 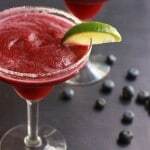 Mmmm this margarita looks fantastic! 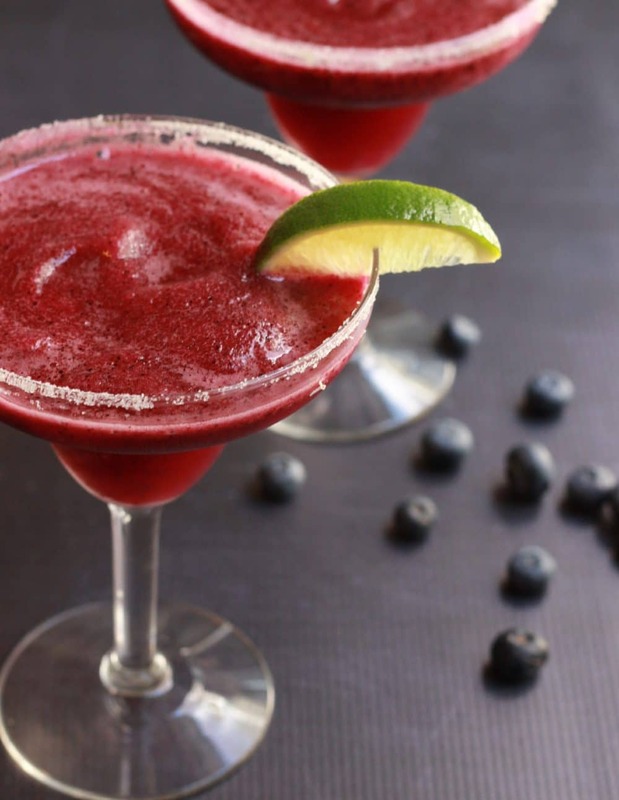 A perfect summer drink…how have I never had a blueberry margarita before?! Yum! Wow, I have got to try this recipe. 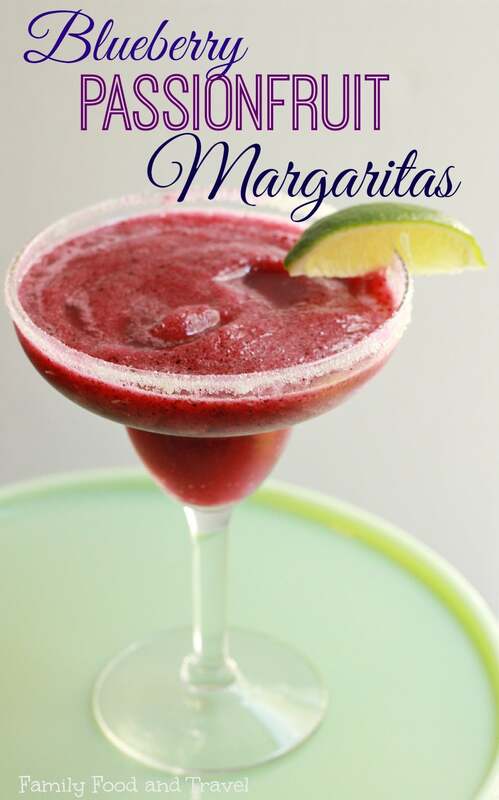 I love love margaritas and this sounds so refreshing.. thanks for posting. 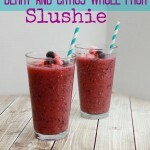 If my blueberry bushes ever start producing, I will set some aside for a cool summer drink like this! Mocktail for me. Dede recently posted..Sweets for the sweet = plus a FREEBIE! This looks and sounds really good. I am have never made a drink like this but I think I am going to have to try this. Thanks for the recipe. Wow!! This looks so delicious! I love the fruit combo. Great idea! Yes, I am not a fan of the cooked blueberry so love something different. What a beautiful cocktail! 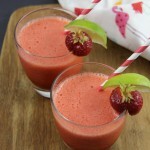 A great combination of fruit, and perfect for the summer! These look amazing. Thanks for linking up to Best of the Weekend. I’m featuring this post this weekend! !